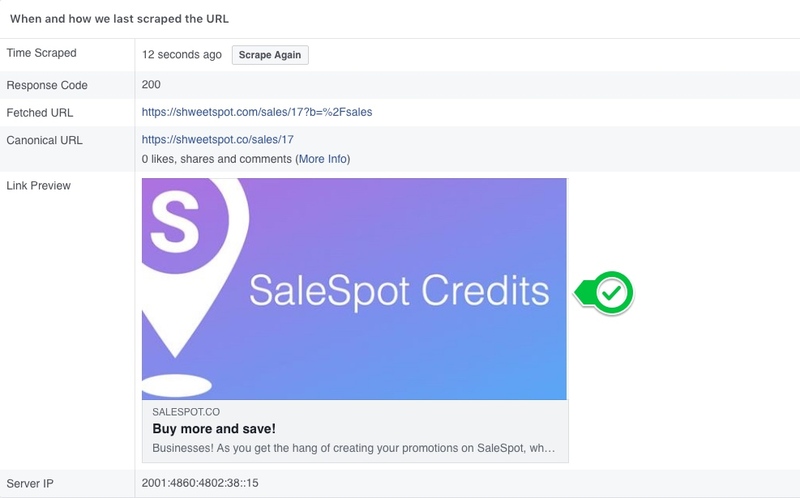 If the image of promotion you are trying to share to facebook doesn’t show up in the share window, click here to use Facebook’s sharing debugger tool. Copy the link of the promotion you want to share as displayed below. Then, paste the link you have copied inside Facebook’s Sharing Debugger tool and press the “Debug” button. If the image of the promotion still doesn’t show up after pressing the Debug button, press the Scrape Again button which will refresh the link. Do this until your image appears.